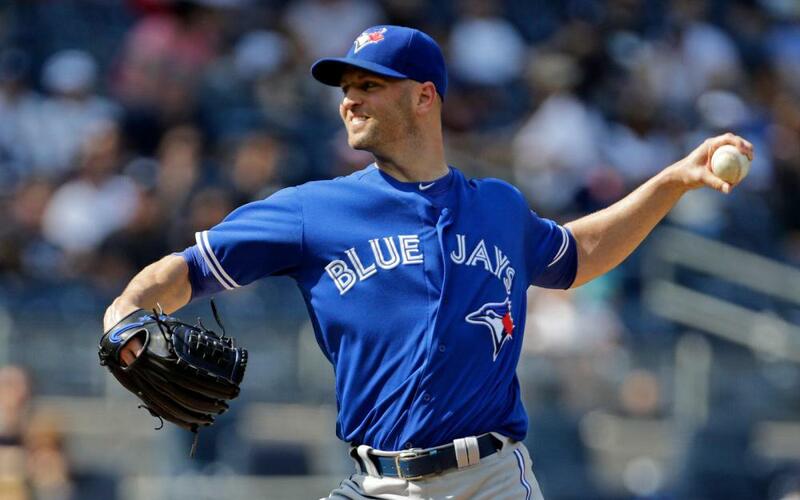 JA Happ put together a solid start against the Red Sox yesterday but was in line for the ND. He went 6 IP allowing just 1 ER. You basically know what you're getting with Happ at this point - a 4.00 ERA with 8 or 9 strikeouts per 9 innings. This makes him slightly above average and a viable option in favorable matchups or two-start weeks. Don't expect much more than that. Nick Castellanos took advantage of the elevation in Colorado yesterday going 3-for-5 with a HR and a double yesterday. Castellanos has taken a step back this year as his OPS is nearly 75 points less than last year; however, he's actually been quite unfortunate for most of the season. His Hard% is 45% this year vs. 35% last year when his BABIP was 50 points higher! All that said, it should be a pretty solid finish for Castellanos once we see some mean reversion. He'll make for a lower tier 3B the rest of the way. Justin Verlander put together one of his stronger starts of the season yesterday, going 6 IP with 9 K's and just 1 ER in Colorado. He lowered his ERA to 3.82 on the season. MLB Network reported that trade interest in Verlander increased this week and he could still be dealt, and yesterday's start will only increase those chances. After last year's resurgence, it seems as if Verlander has regressed back to his 2015 self. His ERA appears to be fortunate as his SIERA sits at an unimpressive 4.39. His BB% is up, while his K rate is down; a bad combination. Beware as we head into 2018. James McCann flexed his muscle yesterday as part of a 1-for-4 effort with 3 RBI and his 13th HR of the season. McCann's overall numbers aren't all that impressive but it actually represents a career year as his wRC+ is over 100 for the first time vs. a career average of 82. That said, he's basically only an option in 2 catcher leagues as there are a number of better options out there. Mitch Haniger was 3-for-4 with a HR, two doubles, and 3 RBI. This was Haniger's biggest game since his insane start to the season, which he naturally cooled off from. For the year he's been slightly above league average with a 105 wRC+ (before yesterday). I don't think Haniger will rekindle his April/May magic in 2017, but he's an intriguing option for 2018 as - despite being 28 - this was his first extended time at the major league level. Keep an eye for next season.